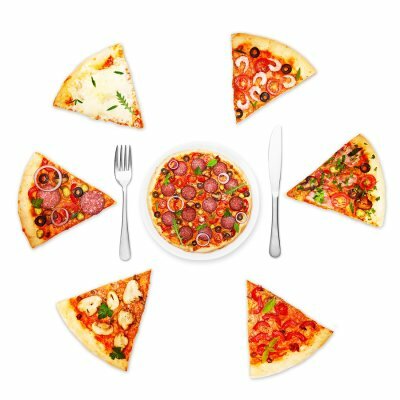 Pizzerias near San Jose have been known to offer a vast variety of toppings for your midday meal or your evening dish. Whether you are dining out at a pizzeria or you are making a homemade pizza, chicken is always an excellent standby. Watch this video to find out why chicken makes a great pizza topping. In addition to tasting delicious, chicken provides the body with a number of benefits. Phosphorous and calcium are needed to bolster the strength of your bones, and chicken has plenty of phosphorous. Chicken also contains trace minerals that boost your immune system; this can help you fight off colds and infections. This meat contains a significant amount of zinc and protein without being too fatty, which can increase your appetite and help you to build muscles. Although chicken does contain cholesterol, the niacin that it also contains balances this out. Your deep-dish pizza in San Jose can deliver plenty of essential nutrients, including vitamins and minerals, if you choose the right vegetable toppings. Mushrooms, tomatoes, and bell peppers are classic pizza toppings, but there are also plenty of other veggies you can get atop your pie the next time you place an order for fast pizza delivery. Chicago-style pizza , with its thick crust, can hold many more veggies on top of each slice than thin-crust styles of pizza. 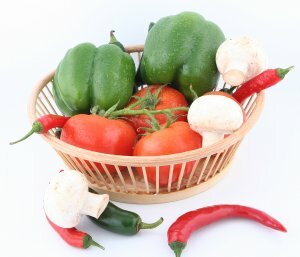 Find out which veggies are the healthiest, and which vitamins and minerals they include, by watching this video. What Gluten-Free Veggies Should You Choose as Pizza Toppings? When you eat gluten-free in Palo Alto , you can still enjoy an authentic Chicago deep-dish pizza, as long as it is made with gluten free pizza dough. But as you probably already know, you also have to be careful about your topping choice, as sometimes toppings can contain hidden gluten as well. Whether you’re dining in at the pizzeria or ordering pizza delivery, mention that you need your whole pizza to be gluten-free before placing your order. Watch this video to learn how to select gluten-free vegetables, and to learn where gluten can hide in common veggie preparations. You don’t have to give up meat in order to make your pizza healthy. Order chicken instead of sausage or pepperoni, and you’ll get plenty of juicy, delicious protein, which is an important staple in any diet, without the extra fat. Pineapple on pizza became popular when many pizza places started offering a Hawaiian pie. One serving of pineapple has plenty of vitamins E and C, as well as your daily dose of manganese, which is an important dietary mineral that helps control your blood sugar and keep your skin looking healthy. Every pizzeria has powdered garlic that you can sprinkle on your slices, but for an extra flavor boost with virtually no calories, ask for fresh or roasted garlic atop your deep dish pizza. Some studies have linked garlic consumption to lower cholesterol and reduced risk of heart disease. This green vegetable is packed with vitamins A, C, and K, and like all vegetables contains a good amount of dietary fiber. Ordering broccoli as a topping is great way to ensure that kids get enough vegetables, even at a pizza party. Even if you are a vegetarian, you can get plenty of protein from a pizza. The cheese itself already has a good amount, and toppings such as mushrooms will add even more. Also, mushrooms contain selenium, which is an antioxidant that may help fight heart disease and boost immune functions.